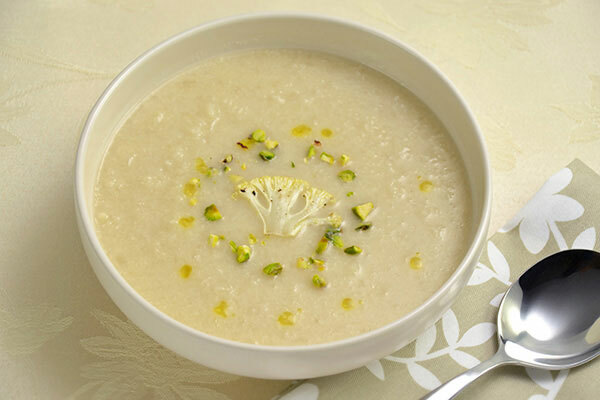 The sweet and savory taste of this cauliflower soup will nourish and warm you on a cold day. 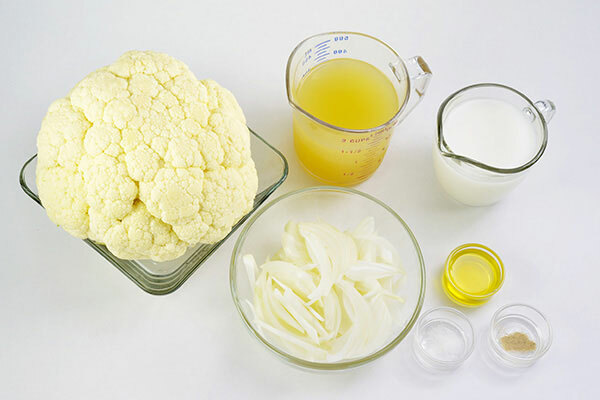 When purchasing cauliflower, look for one with a creamy white color and compacted curd. 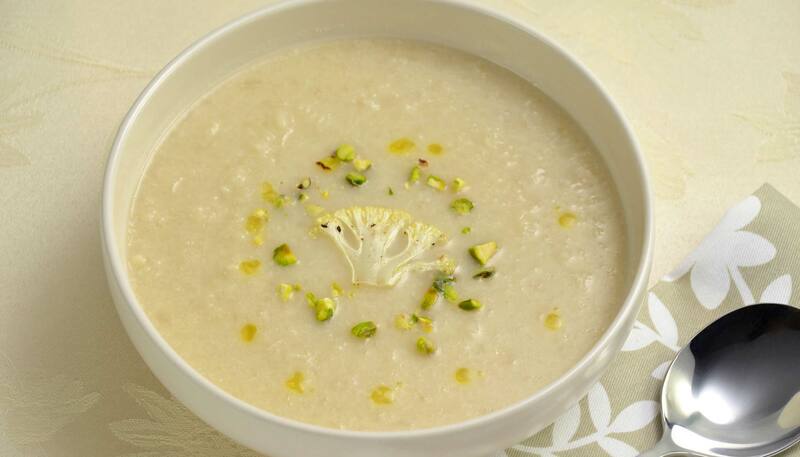 Replace chicken broth with vegetable stock to make this recipe vegetarian. Heat the inner pan over medium heat. Check its surface temperature by dripping a few drops of water. 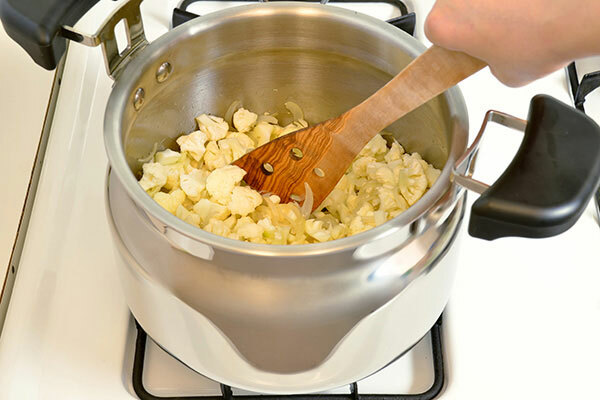 If they run on the surface, then the pan is ready to cook. Add olive oil, onion and sauté them until onion becomes soft, about 5 minutes. 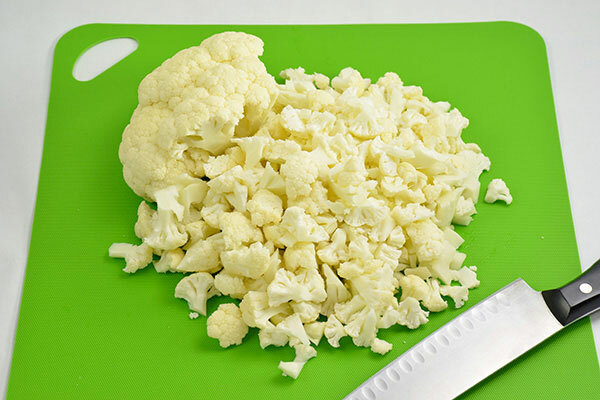 Then add cauliflower and sauté for 5 more minutes. 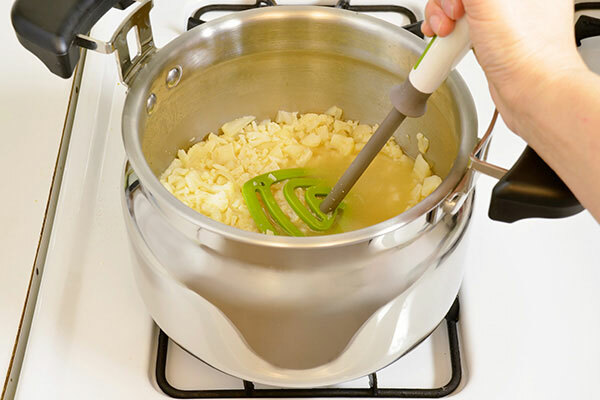 Add chicken broth to the pan and when it reaches a boil, cover and place the inner pan in the insulated container and keep warm for 30 minutes. After 30 minutes, take out the inner pan and place back onto the stove and heat over medium heat. 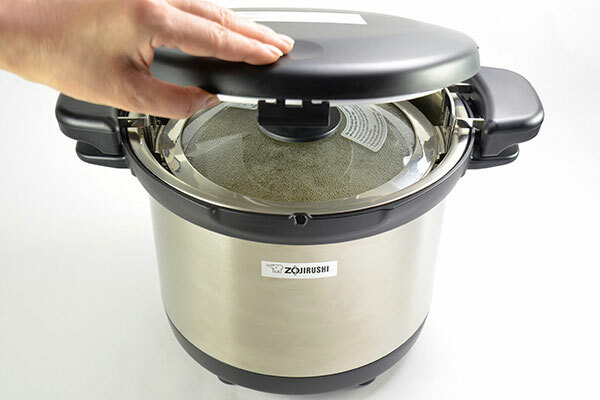 Mash with a masher or a stick blender. 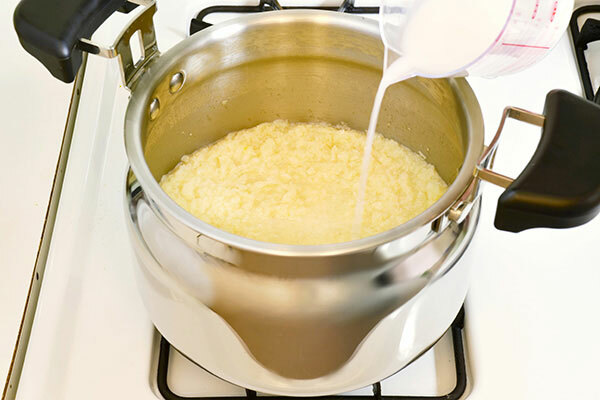 Stir soy milk into the pan and when it reaches a boil again, add salt and white pepper to taste. Garnish with crushed roasted pistachios and shaved roasted cauliflower if preferred.